BRIGHTON, Mich. - The internationally-acclaimed Harlem Ambassadors will visit Brighton for a Habitat for Humanity game this Friday, October 4 at 7:00 p.m. - and you're not going to want to miss it! 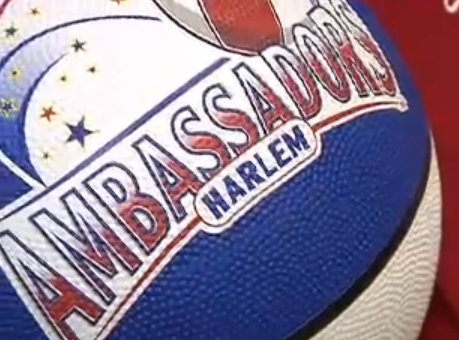 The Harlem Ambassadors are a one-of-a-kind team that not only play a mean game of basketball, but also amaze onlookers with gravity defying slam dunks, fantastic tricks and hilarious comedy routines. They work hard to incorporate kids into their routine, as they engage the children by having them participate in the show - it's all about creating a fun atmosphere and sending a positive message. At this show, the Harlem Ambassadors will be playing against a team of local players that are all being sponsored to help raise funds for the Habitat for Humanity - one of the players is a member of our Brighton Ford team! If you'd like to support him, help raise money for a great organization and have a great time with the Harlem Ambassadors, come to the game! Advanced tickets are $8, while tickets at the door are $10 - all children under 3 are free. You can purchase tickets at the Habitat ReStore (7198 Grand River), the Howell & Brighton Chambers of Commerce and LOC Federal Credit Unions. Habitat for Humanity is a wonderful organization that works to provide thousands of low-income families with affordable housing. As of today, Habitat for Humanity has helped build or repair more than 600,000 houses and helped more than 3 million people around the world. For more information, you visit www.habitat.org. The Harlem Ambassadors will visit Brighton this Friday for a Habitat for Humanity game and you're not going to want to miss it! If you'd like to wish our sponsored player good luck, or take a look at one of our great New Ford Trucks or New Ford Cars, stop by today! We'd love to assist you with any of your vehicle needs. Brighton Ford is located at 8240 Grand River Ave. just north of I-96 in Brighton. We are a family owned and operated business that strives for customer satisfaction. For more information on Brighton Ford visit BrightonFord.com or give us a call at (800) 836-8206.